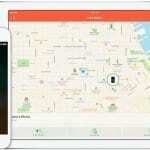 You are here: Home / News / What will smartphone Anti-Theft voluntary agreement bring to Apple devices? 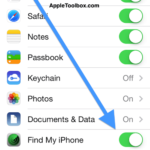 What will smartphone Anti-Theft voluntary agreement bring to Apple devices? Yesterday Re/code reported that major smartphone manufacturers including Apple, Samsung, Nokia, Google, Motorola and HTC have agreed to include anti-theft technology on all new smartphones manufactured after July, 2015. Also important to note that network carriers AT&T, Sprint, T Mobile, Verizon, and U.S. Cellular are also participating in this agreement. 1.All major manufactures agreed that their devices will have the ability to remote wipe user’s data. This means if your phone gets stolen or lost, you will be able to erase everything on the phone. Apple already has this feature. 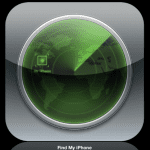 You may wipe your iOS device remotely if you set up Find My iPhone. iOS 6 and later also offers a feature called Lost Mode. 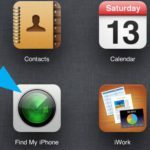 With Lost Mode you can lock a lost/stolen iPhone with a passcode, display a custom message, and keep track of its location if it is online. 2.The second feature is that the phones will offer a locking mechanism (e.g., passwords) to render them inoperable (e.g. By locking or disabling) to unauthorized users. Apple devices also have this feature. You may set up a passcode on iPhone. There is also Touch ID for iPhone 5S to add your fingerprint. You can also configure your iPhone to automatically erase everything after ten failed passcode attempts. 3.The third feature states that if the phone gets locked or disabled (see #2), unauthorized reactivation will be impossible to the extent which is technologically feasible. As of now, Apple supports this feature partially. What this means is that it is very difficult to reactivate the iPhone if you do not know the passcode. But it is not impossible. An authorized user may still activate the phone by placing it in DFU mode. However, if the original owner reported this device as stolen or lost to the carrier (AT&T, Verizon etc), the phone will be placed on a list that will prevent the iPhone from ever being activated again on that particular carrier. But it may be possible to use the device on other carriers or internationally. This kind of a safety feature may only be possible if manufactures and carriers work closely together. 4.And the last feature points out that if the authorized users recover their stolen or lost devices, they will be able to activate the phone and restore their data. Again, iPhone already offers these features. You may regain access to your disabled device by connecting the iPhone to a computer via iTunes. And you may restore your content from your iTunes or iCloud backups.